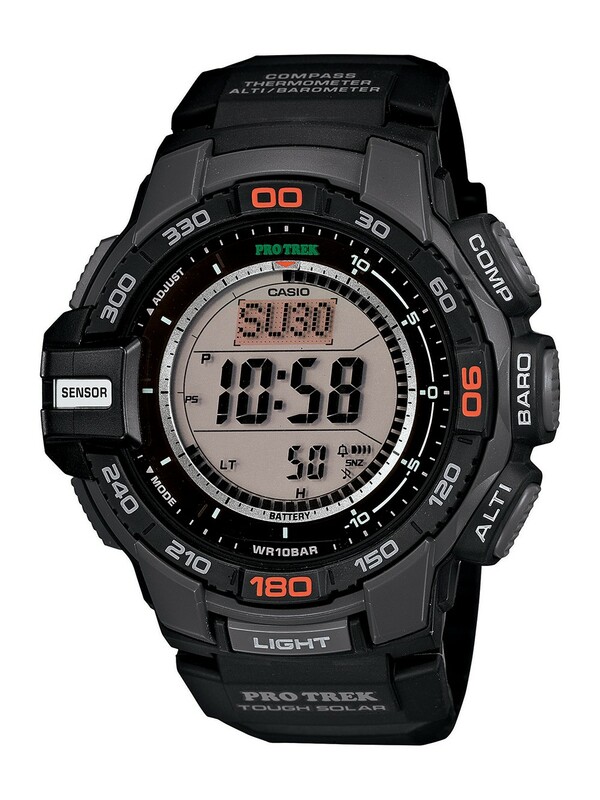 Introducing the Solar Powered PRG270 which incorporates Casio's new Triple Sensor Version 3 engine. Advanced CASIO original technology has allowed for a 95% smaller direction sensor and 90% reduction in sensor power consumption compared to previous models. Despite their smaller size, the new sensors in this model deliver better accuracy and energy efficiency. This model can measure Altitude in 1m increments (previously 5m) and display compass readings with 60-seconds of continuous measurement (previously 20 seconds). In addition to the altimeter and digital compass, the watch's Barometer, incorporates a unique Barometric Pressure Tendency Alarm that alerts the wearer to sudden changes in pressure readings.Design features include a case designed for outdoor gear performance. Large side buttons and one-press access to digital compass, barometric pressure and altitude, and temperature readings keep important information at your fingertips. 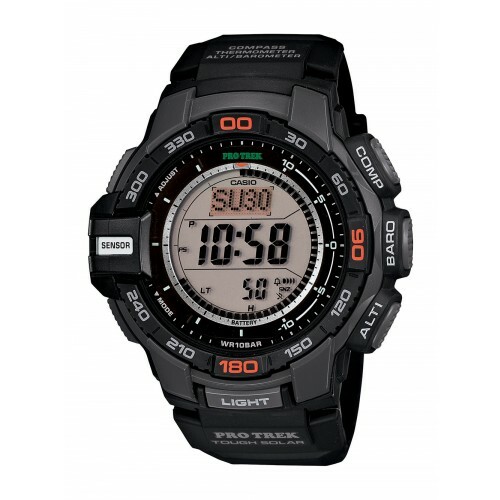 Other features include Tough Solar, 100-meter water resistance, and more. Everything about these models is designed and engineered to make them essential pieces of outdoor gear. Black resin band digital with neutral face.